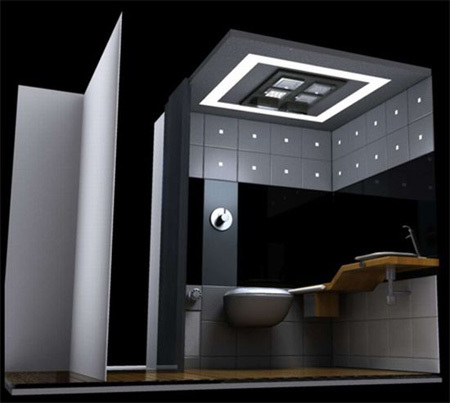 The contemporary and eco-friendly bathroom design from talented designers David Choi, Hector Silva, Jim Ruck, and Jeremey Watson really amazes me. 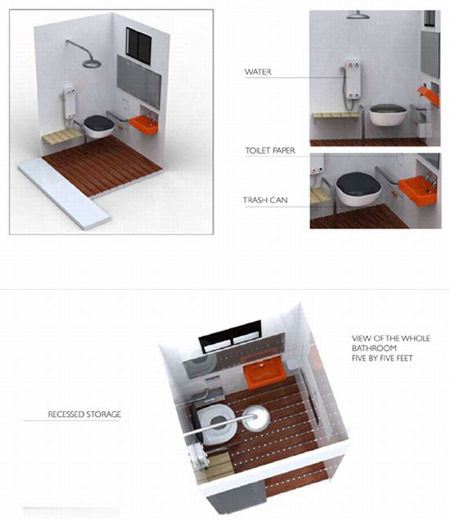 This sustainable bathroom has various eco friendly features including the bamboo or wooden floor, Tera LED lights, solar powered panels and much more. 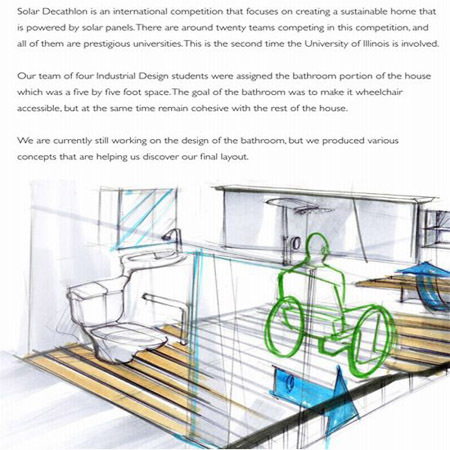 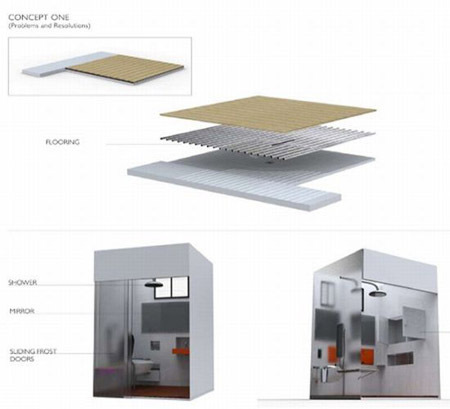 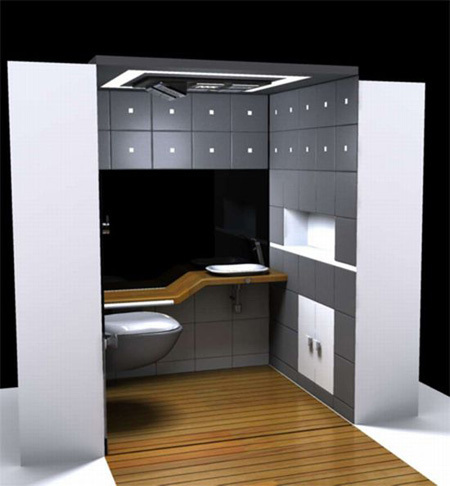 Aside from the eco-friendly features, the solar decathlon bathroom also has the modern look and design that will surely make you feel like using a bathroom in a five star hotel. 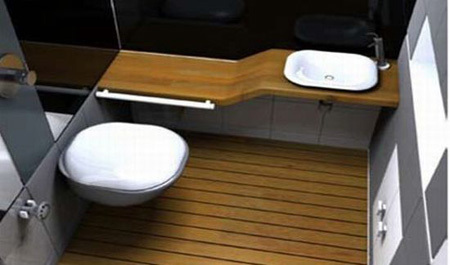 This five by five feet bathroom is properly designed and components are placed in proper order for the users to have total comfort when using.